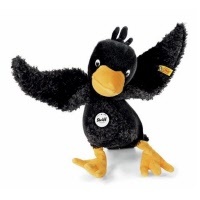 Steiff EAN 064593 Plush Abraxas Raven dangling, 33cm. Abraxas is from the dangling serie, sweet cuddly animals with very long arms/wings and feet to been taken on an easy way for young children. Abraxas is made of black and orange coloured cuddly plush, has safety eyes and is filled with synthetic stuffing material and Machine washable (30 degree C). He is with the CE mark for safe toys. 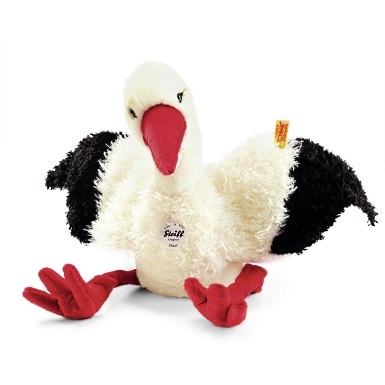 Steiff EAN 064661 Oskar dangling stork, 40 cm. Oskar is from the dangling serie, sweet cuddly animals with very long arms/wings and feet to been taken on an easy way for young children. Oskar is made of black and white coloured cuddly plush, has safety eyes and is filled with synthetic stuffing material and Machine washable (30 degree C). She has a long red beak and is with the CE mark for safe toys. 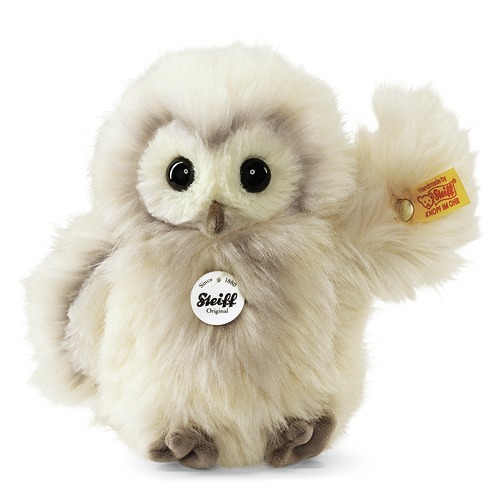 Steiff EAN 045622 Wittie Owl, 14cm/5.5". Wittie Owl is made of cream cuddly soft woven fur and stuffed with synthetic filling material. He has airbrush details, safety eyes and is 1-way jointed (head). He is machine washable at 30 degree C and has the CE mark. 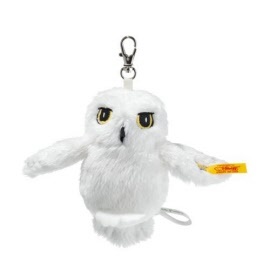 Steiff EAN 045639 Posh Pattern Pets Eugen Owl, 20cm. 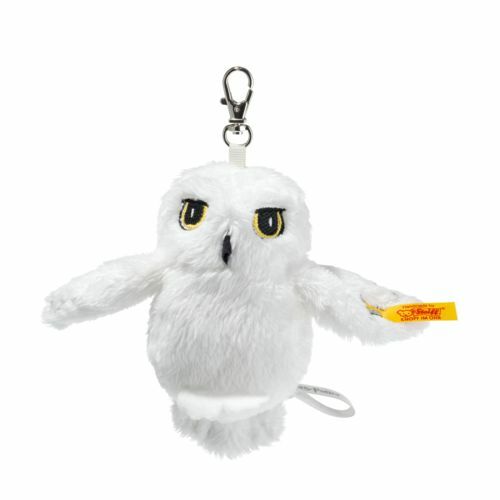 Eugen Owl is made of grey/brown/crème cuddly soft plush. He has safety eyes and is stuffed with synthetic filling material. He is machine washable at 30° C, suitcase not washable, and has the CE mark for safe toys. He has a stainless steel “Button in Ear”. 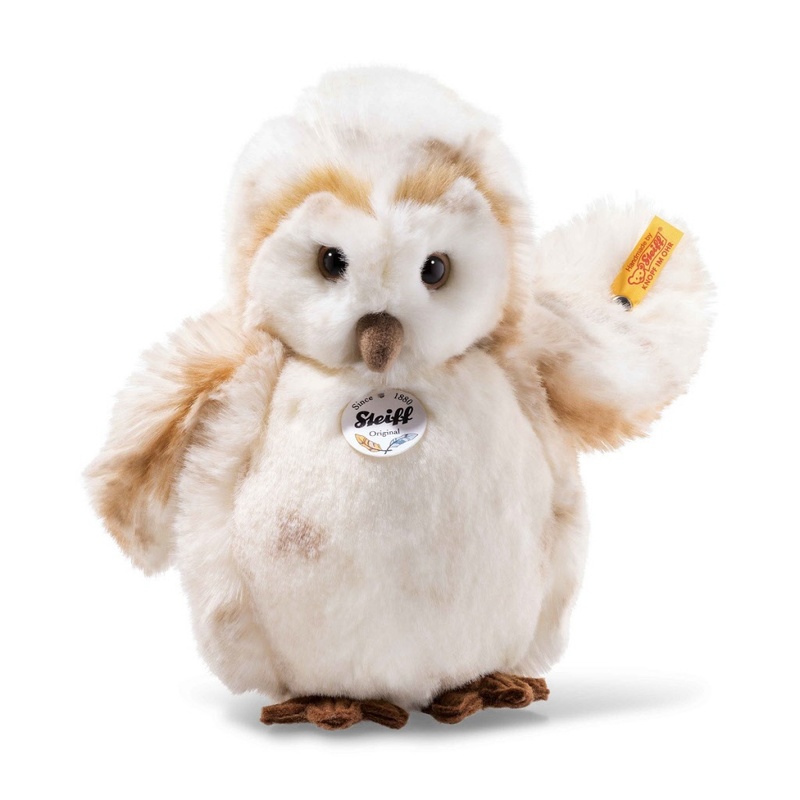 Steiff EAN 045165 Owly Owl, 23cm.